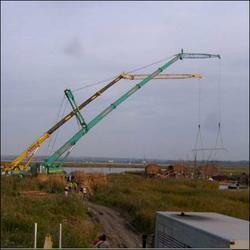 We are engaged in offering hiring Services of Cranes of renowned brands. Our Grove TMS-250C Cranes are ideal to lift and shift material and moving them horizontally. Available in 35 tons of capacity, these cranes require less maintenance and ensure hassle free operations.